Could you provide a forever home for a lovable serpent? The Scottish SPCA currently has 25 snakes desperately looking for homes at their rescue and rehoming centres throughout Scotland. To mark National Serpent Day (February 1), the charity is highlighting the plight of their homeless serpents, many of whom have been waiting years to find their new families. Snowflake is the Scottish SPCA’s longest serpent resident, having been in the care of their rehoming centre in Aberdeen for more than 1,870 days. Scottish SPCA centre superintendent Sharon Comrie said: “Sadly we don’t receive many enquiries about our snakes. “We understand that snakes aren’t for everyone but we feel they are often overlooked as pets. “It’s not uncommon for snakes to stay with us for years before being rehired, but we’re positive we can find a suitable owner for every animal in our care. 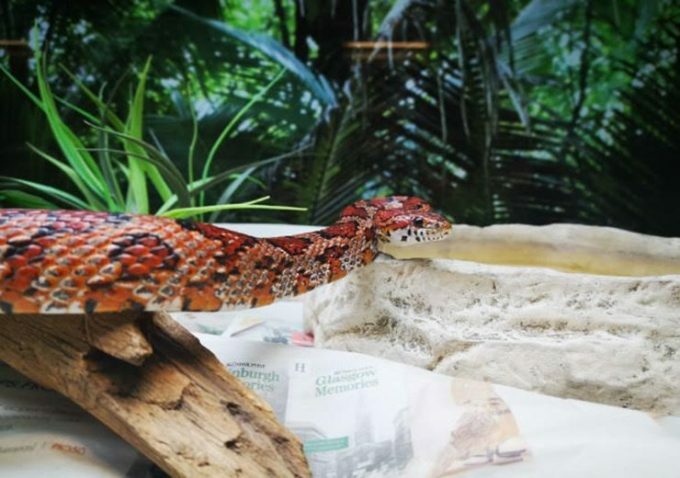 If you are interested in rehoming a snake or any other animal, contact the Scottish SPCA on 03000 999 999 or visit www.scottishspca.org/rehome.